Do you ever feel like you have to choose between healthy and delicious cooking? Your healthy option… plain oatmeal… Or the yummy category… cheesecake! 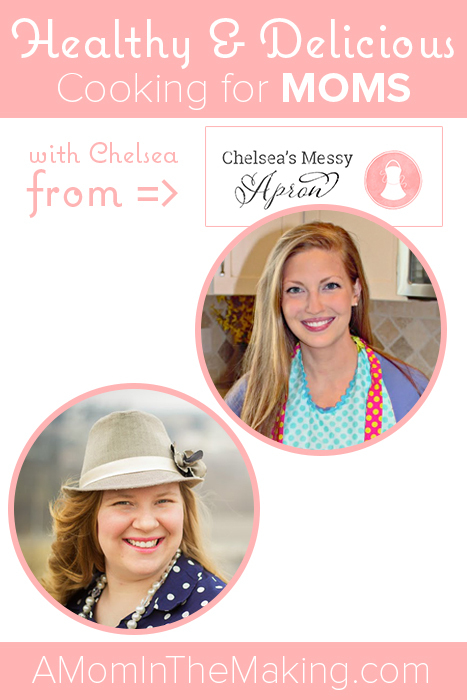 Our interview today with Chelsea from Chelsea’s messy apron shows us how we can have incredible meals that are amazing to eat and healthy. Plan Your Meals in Advance! As someone who despises planning, this was a major kick in the pants! But the beauty of her cooking has me convinced that I need to try it. But Chelsea doesn’t just create Pinterest worthy food… She’s a mom, so she understands that trickiness of balancing cooking with watching a baby. Plus ways that we can still be creative if we are short on time or money. The truly best part is when Chelsea shares a story with us of a real mom moment while cooking.